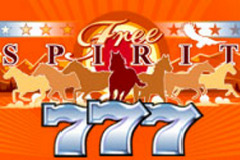 Images of wild horses charging across the mountains of the American West adorn the Free Spirit Wheel of Wealth pokie. It may look like a fairly basic game, but the clue is in the title, with a fun and potentially very rewarding bonus wheel side game that makes this anything but average. The theme has been seen in loads of other pokies, but it’s fairly inoffensive, and just serves to add a little colour and drama to the proceedings, although there are no sophisticated animations or any particularly stylish symbols to lift things up a bit. Free Spirit is laid out in the classic 3-reel and 1 payline format that people either love or hate, but apart from a plain design, this is actually somewhat more interesting than many similar games, and those who usually prefer more sophisticated video pokies shouldn’t write this one off completely. A soft shade of beige and the images of horses, eagles and mountains decorate the game, which doesn’t sound very exciting, and isn’t. But moving on from the looks, there’s a paytable to one side that reveals what will be won for each winning combination that comes to rest across the payline after a spin and the standard, but very functional Microgaming control buttons below it all. These let players decide how much they are going to stake per spin, with coin values of 0.25, 0.50, 1.00, 2.00 and 5.00 being possible, and either 1 or 2 coins can be in play for a maximum wager of 10.00 per spin. The majority of wins are in the same proportion however many coins are used, although there is a single exception which we’ll come to when we look at the paytable itself. Most 3-reel pokies feature cherries as the lowest value symbols, but here we get the silhouette of a horse head, that pays out 2x the bet value if just a single one lands on the line, with any 2 of them being worth 3x. If any mix of the bar symbols fills the line then players will get awarded 5x, and a full row of horse symbols will pay out 10x. The traditional bar symbols are given a bit of a Western twist here, looking a bit like the sign for a saloon, and should the single bar land across the line, the reward is 15x the bet. Doubles pay 30x, and the triple bar icon is worth 50x. It’s standard practice to make ‘7s’ the top paying regular symbols, and not wishing to break with tradition any more, Free Spirit provides some shiny silver 7’s that look a bit like a sheriff’s badge. When the line is filled with these, players will be paid out 100x the bet, but the symbol that’s really going to cause a stampede is the wild. This is simply the Free Spirit logo which pays out 2000x for any spin where only 1 coin is active, but if 2 are in play, rather than the 4000x payout that would follow on from what’s gone with the other symbols, it’s boosted to 6000x. 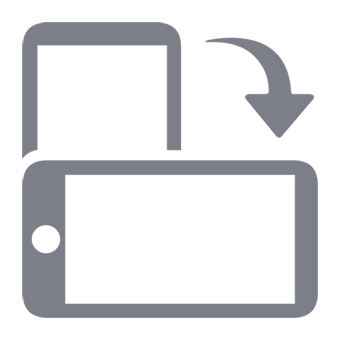 On top of this, the wild function means that the logo symbol will act as any other if it will complete a winning line, with 2 regular symbols and the wild not only making up a win, but the value of it will be doubled. If 2 wilds and another symbol make a winning combo, then the value of the subsequent payout will be quadrupled. The Wheel of Wealth is a great addition to this game. It’s triggered by a brightly coloured wheel symbol landing on the line on reel number 3. This opens up a second screen which is taken up by a wheel that has various prize multiplier amounts around 20 segments. Players simply click to spin it and with a guaranteed win of 50 coins, and the chance to win up to 1000, the Wheel of Wealth may not turn up that often, but it’s very welcome when it does. If players are happy with the theme and somewhat plain design, then this pokie has a lot to recommend. Symbols pay out at a decent rate, and the wild is very rewarding, although one point that could players off is a pretty small maximum bet. Wild wins, multipliers and that bonus wheel game however, makes Free Spirit Wheel of Wealth a fun and rewarding game to try out, even for those who wouldn’t normally go for this type of pokie.